Tone 11 offers the clarity of all our Possibilities of Creation to bring Resolution to a new way of Living and Being in the world. Tone 11 is the day of the trecena when the shaman and Mayan priest make an Offering at the Highest Altar for the purpose of a Divine Discernment. Road/EB is the Day Sign also known as Human, and represents the Road of our Destiny. Our Human destiny is the Journey that we must make through all the unknown experiences of our Lifetime. The glyph illustrates the “road of destiny” on Human’s head. Though we must all make the same Human journey, we are given the Sacred Right to Choose the ground we will cover and who we will become. Given the Power to Create anything we can imagine, we were Offered the Choice of a Divine Destiny, following a path of High Hopes and Aspirations to manifest a Destiny of Harmony and Equity, in a Loving Relationship with the Whole. The Maya called this the Saq’ be, the “White Road” that leads to an eternity with the Creator as the One Light Above. With the Higher Clarity of the Miracles wrought by the Creator on behalf of our Highest Dreams, the only Resolution there is to make is the Intention to Choose it. The Tzolk’in leads a “White Way” to our Divine Destiny. It was left behind as our Inheritance of Wisdom that was won through the suffering of transforming our Darkness to Light. How far back on the road would we be without all the Wisdom of Spirit that all those that came before preserved for us to Know? The Highest Evolution of Humanity is offered to the One and the Whole in the Divine Integrity of a Choice, so that we could be the Authority of our own Destiny. The Creator Offered us Every Thing, Dreaming to be Seen as the Source of every Blessing we could ever imagine. We were sent out on our own Journey of Consciousness to raise the Light of our own Understanding, so our Gift could be Created in its Highest Manifestation. Road/EB lies in the South, the direction of our Relationship with one another and the Natural World. EB holds the Element of Earth. Human is made of Earth and is the foundation of matter that Human can See and Know through all of our Senses. Holding the Power of Consciousness, Human can Choose what we see. Our experience of the Beauty is a Choice of Consciousness. On either side of the road, are the milestones of Spiritual Growth, Consciousness, and Human Transformation. 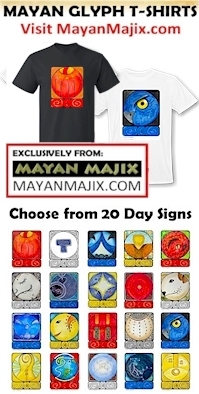 The Cherokee Day Sign the Rattlesnake Tooth, is a symbol of Spiritual Medicine. It was used by the shaman to break the skin in the place where Spiritual Medicine would be applied. The Rattlesnake Tooth is a Sign, related to the rainbow a full-spectrum display of the Creator’s ethereal Light – the Sign of a Promise for Peace on Earth. Today a Spiritual Healing will leave the mark of a new Milestone of Human transformation. We are offered something we can see and Remember. The Offering we can bring to the Highest Altar is our Gratitude and Appreciation for the Supreme Creator’s Creation. We can Offer the Truth in our Consciousness of a Creator whose Breath spoke the whole world into Creation, and in that same Breath offered Human the Power to play a part in its Divine Manifestation. The Creator created us with the Gifts of Human and Spirit so we could see our Self as One in the Same Divine Plan. Recognizing the Divinity of Creation was shared with us, we were Offered the Choice of the Highest Creation, an eternity of Unconditional Love. By definition, Miracles are the manifestation of what is “impossible” by Human alone. Making the Choice to Create together the Dreams we Love that are a Blessing to the Whole, our Dream can serve as a Miracle to someone else. To all my relations, may we bring an Offering of Gratitude to the Highest Altar for all the Choices that were covered by Unconditional Love for us to make. May we Know that when we ask to be Guided by the Creator’s Highest Intention, every step we take will lead us in a Divine Direction. Even when we fail to reach for our own Highest Intention, the Creator will raise us to the Higher Ground to see it in our Imagination. May we think about the Choices we’ve made to see the ones that never fell through, the Choices that always led us to a Higher Place. May we Offer our Self for the Time that we must Bear to see the Whole of the Creator’s Light and Miracle manifested below. May we Give thanks for the Choice we were able to make in the Consciousness of our Relationship with the Supreme God of Creation. May we Resolve the Choice of our own Promise as a Living Body of Love to be directed by the Hand that can use us for a Miracle.